This outfit incorporates just about everything I love. 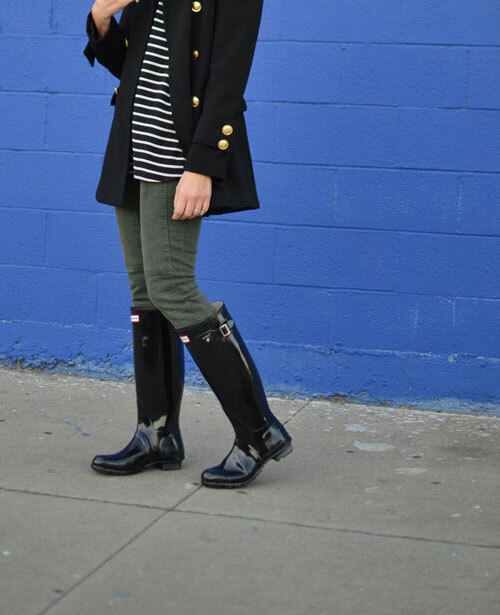 Moto jeans, a striped top, Hunter boots and my favorite pea coat (yes, it's back again!). We had a little bit of rain last week and I could not have been happier. That coat looks pretty amazing. The stripes, coat, and rain boots go so well together! I love that coat!